Every organization can benefit from a project focus in order to achieve specific objectives and within certain time frames. Whether projects are currently the lifeblood of your company or not, they must be managed effectively to get the maximum benefit. The benefits are, of course, financial but other benefits include more wins, better customer relations, and a competitive advantage. To help prepare for the coming year, let’s discuss 5 project management trends for 2018 that will set you apart from your competition. Collaboration for Success – Projects in and of themselves are social. There must be constant and continuous interaction and communication between the functional groups, project personnel, executive management, subcontractors, and most importantly, the customer, to have a successful project. One effective way to promote collaboration is through a business cadence. A business cadence is a set calendar of events (such as a risk board or monthly cost review) where employees have an opportunity to interact. Get your business cadence or rhythm established early and make it a part of your culture. Keep in mind that having great projects will develop an overall collaboration culture. Growing Investment in Project Managers – Training to understand the project management discipline is necessary and companies that recognize that will reap great rewards. Project management is a mix of learned skills, experience, and basic leadership capabilities. Project managers that are exposed to skills and role-based training are more likely to have successful project outcomes. Organizations will attract great project managers if they recognize the importance of the project management discipline and have a training program, provide a career path, and have established project management processes and procedures. Examples: Utilization, %Complete, Earned Value, Gross Margin %, Net Margin %, Burn Rate, etc. Increasing importance of a Project Management Office (PMO) – Project Management Offices (PMO) are on the rise again. PMI’s Pulse of the Profession 2017 says: “Among organizations that have a PMO, half have an Enterprise Project Management Office (EPMO). 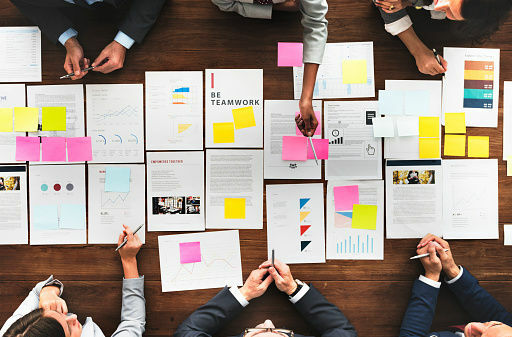 Those that align their EPMO to company strategy report 38% more projects meet their original goals and business intent and 33% fewer projects are deemed failures.” Pretty compelling reasons to revive your existing PMO/EPMO or create a new one. Consider these trends as you get ready for 2018. For project based businesses, improving the outcomes of your projects must be top of mind. If you’d like to read more about project management best practices, view Unanet’s blog, The Business of Projects.